It's free with the new issue of Rock Sound. And it's ace. Go buy! 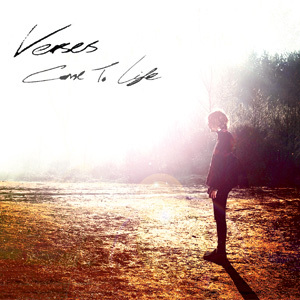 After slugging away on the UK live circuit for what seems like forever, Verses are finally ready to take their place in the spotlight with ‘Come To Life’. Bigger, more convincing and more anthemic that anything they’ve done before, the Sussex band’s new EP sees them taking a significant leap forward in creative terms, refining their sound and going all-out in their assault on the rock major league. No longer just a promising band, Verses set themselves out as serious contenders with the extraordinarily polished ‘Little Catastrophe’ and ‘Same White Light’, and you’d do well to pay attention sooner, rather than later.